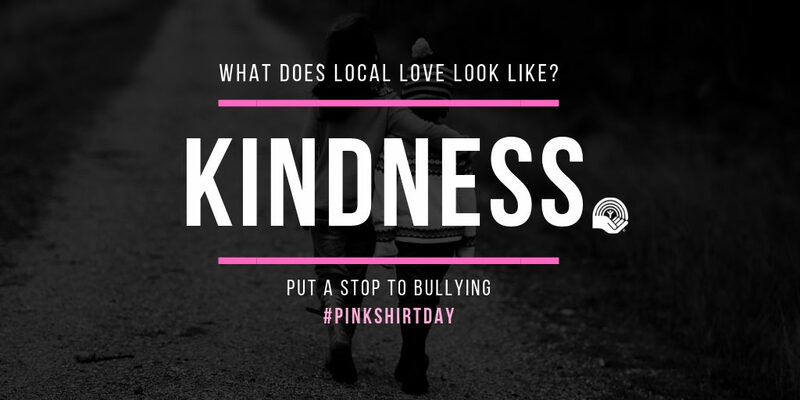 It’s been 12 years since David Shepherd and Travis Price of Berwick, Nova Scotia, bought and distributed 50 pink shirts after a male ninth grade student was bullied for wearing a pink shirt during the first day of school. (Wikipedia) Since then, the idea of wearing a pink shirt to mark an anti-bullying day has spread across Canada and to other countries. Pink Shirt Day this year in Alberta was held on Wednesday, February 27th, with the theme “Choose Kindness”. Bullying is an “unignorable” issue, and we support agencies that foster better relationships between children, youth, and their peers. One of those agencies is Youth HQ in Red Deer, which provides after-school programs and Camp Alexo. In addition to Boys and Girls Clubs across Central Alberta, the Association for Communities Against Abuse (ACAA) is creating an impact with its “You Choose” education. It’s a Preventive Education program that empowers students and parents to take more control of online threatening behavior. Bullying and cyber-bullying are considered to be major health issues and the side-effects are immediate and long-lasting. In the most tragic of cases, bullying has had fatal consequences with victims attempting or dying by suicide. Early identification and intervention of bullying prevents patterns of aggressive interactions from forming.